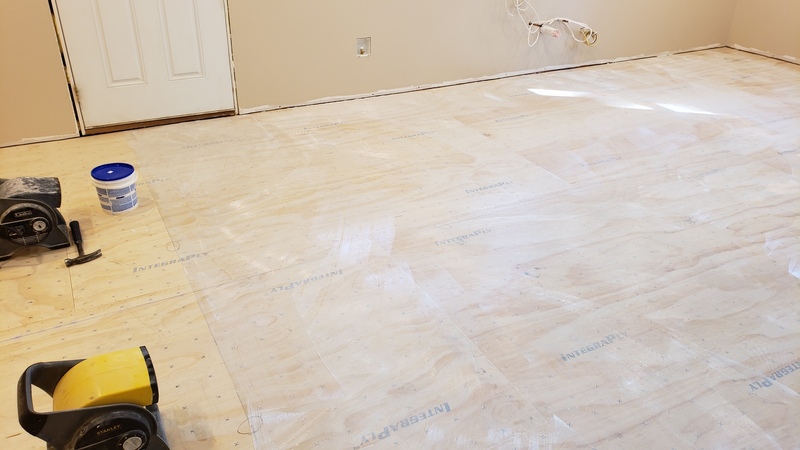 Glue tacking up on half the floor. They have figured where the tiles go and have marks on the floor. They explained that the glue turns clear when it is ready and a finger touch comes off clean – much like a toothpick inserted into a cake will come out clean when the cake is done baking. Laying the 16″-ish squares goes fairly fast. These measure 15-5/8″. I assume there is an industry standard size for these things but I don’t really know. Each manufacturer may do their own thing. 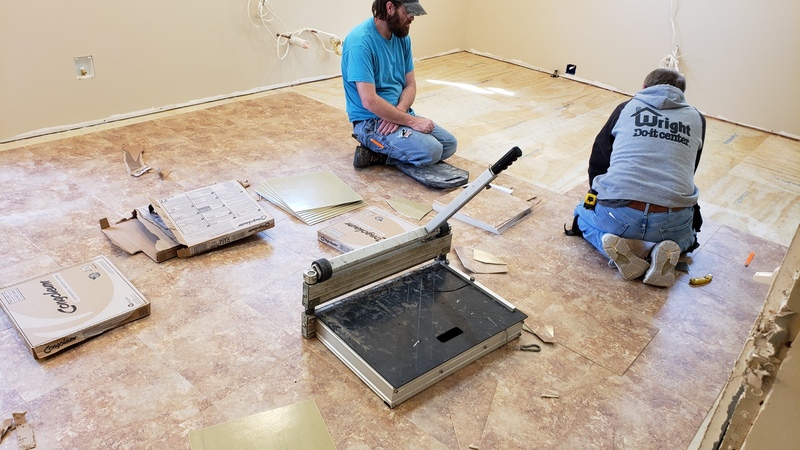 The tile cutter is out and ready, it looks to be sized for even larger tiles. Ta-Da! 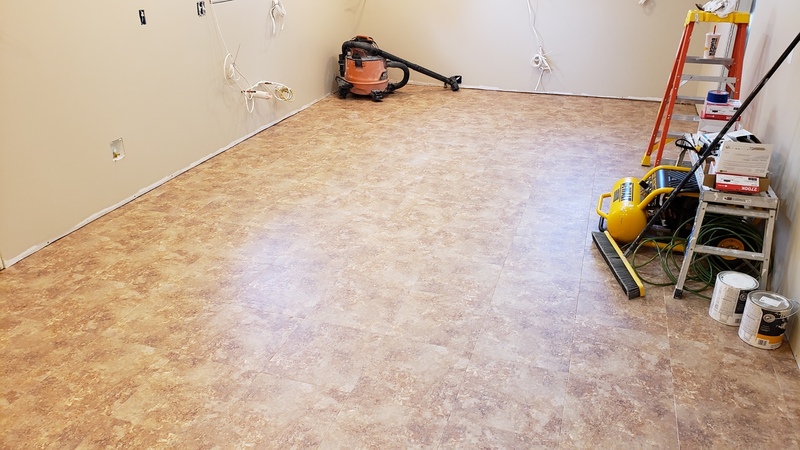 This floor should do better at hiding dirt. 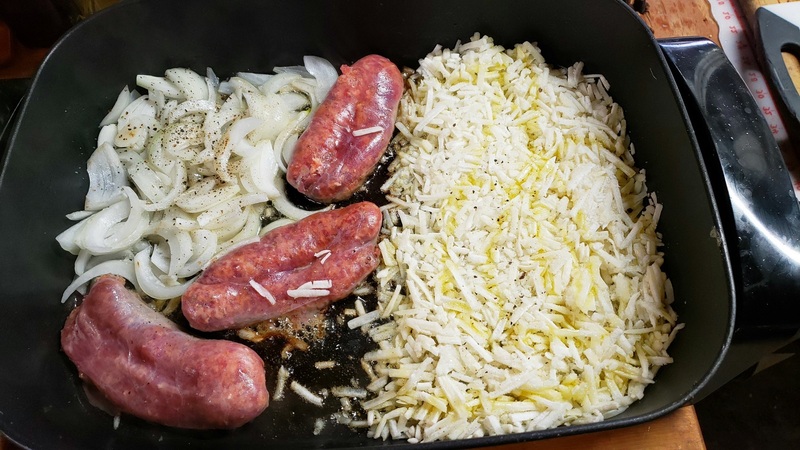 Sausages and sweet onions share the skillet with frozen hash browns. 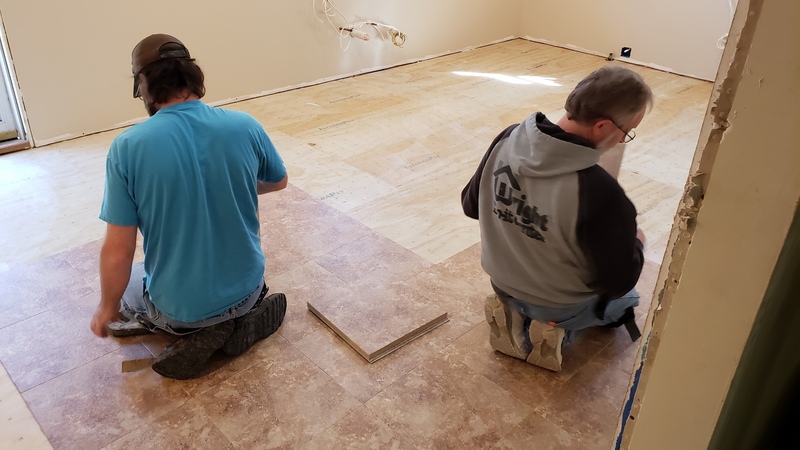 We have settled into a routine in our makeshift basement kitchen after a full 3 weeks into the remodel. Fingers crossed hoping there are no snags.